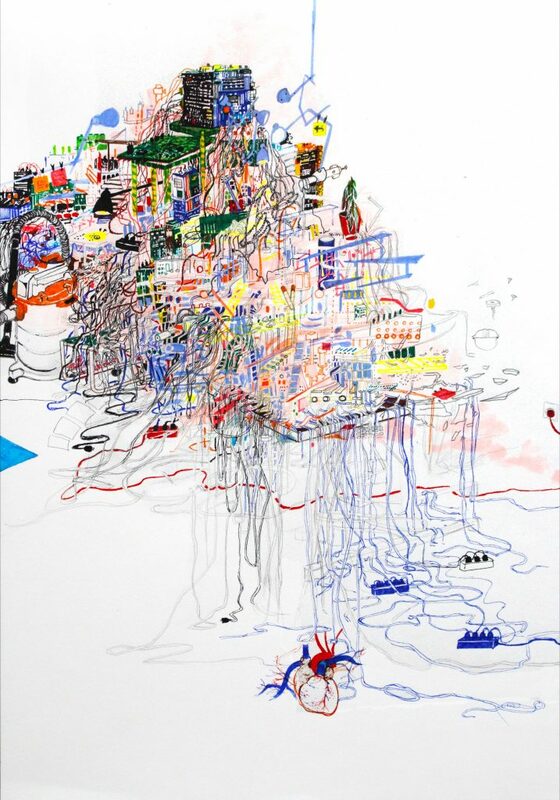 Natasa Galecic presents mixed media drawings and a site-specific installation that reflect frantically growing landfills and fragile hybrid landscapes where wild, natural, and human-made environments collide. About the artist: Natasa Galecic earned her Bachelor’s degree in Painting in 2010 from the Faculty of Fine Arts in Belgrade, and received her MFA from the Moore College of Art and Design in Philadelphia, U.S.A in 2013. In 2012, Galecic completed an artist’s residency at the Burren College of Art and Design in Ballyvaughan, Ireland. She has shown work in Serbia, as well as internationally in Austria, Bulgaria, Greece, Ireland, Netherlands, Switzerland, and the U.S.A. Galecic’s drawings and installations are part of public and private collections in Austria, Ireland, U.S.A., and Serbia. Her work has been published in several catalogues and magazines.